Whether it's a new fad, "detox" diet, news report or a celebrity-endorsed supplement, the constant flow of diet information is cluttered, conflicting, and often devoid of scientific research -- leaving millions of us confused, overwhelmed, and feeling totally helpless in taking ownership our health and making better food choices. Eating to feel satisfied, not just "full"
London empowers us to form life-long habits that result in real, long-lasting change -- while meeting the demands of our busier-than-ever lifestyles. 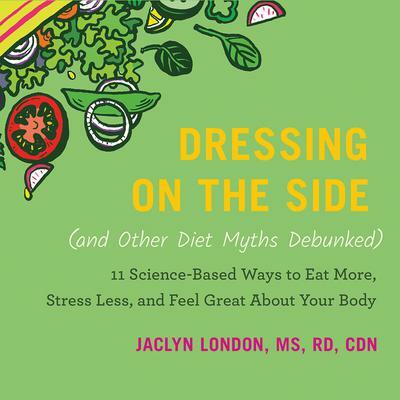 Dressing on the Side is the anti-diet book that will completely transform the way you think (and speak!) about food and health -- and help you lose weight for good.